Dilmah has traditionally taken the lead in bringing innovation to a global tea category that has suffered decline as a result of commoditisation. Signature events such as the Dilmah Thé Culinaire, Dilmah Tea Sommelier, Chefs & the Teamaker, Tea in Five Senses, Mixologists and the Teamaker and Real High Tea are innovations in the tea category that seek to educate and inspire hospitality professionals to offer their guests a completely new tea experience. The events foster greater interest in quality tea, and greater respect for this healthy, natural and versatile beverage. The Dilmah School of Tea is a tea program that seeks to inspire passion in tea through knowledge of the artisanal aspects of tea amongst hospitality professionals, tea aficionados and consumers. The emphasis is on the importance of Real Tea and the versatility of this natural herb in Tea Gastronomy, food pairing and Tea Mixology. The first Dilmah School of Tea, was established in 2009 with the aim of upholding the traditions of tea, by cultivating a respect for tea and sharing its rich cultural heritage. Teamakers, Merrill J. Fernando and his sons have a unique perspective on tea. Their desire to share the special pleasure in real tea is complemented by an emphasis on educating tea drinkers that led to the establishment of the school. 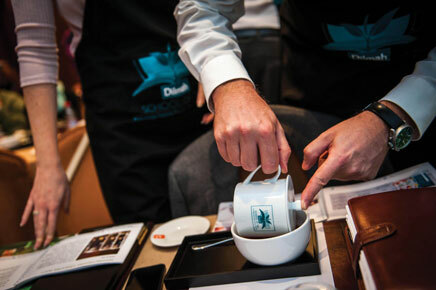 Dilmah and the Lyon based centre of culinary and hospitality excellence, Institut Paul Bocuse announced a partnership in establishing the first International Tea School in October 2009. 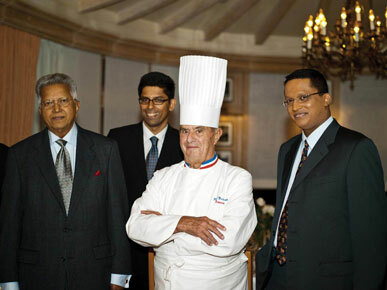 In the innovative style of Paul Bocuse, Chairman of the Institute and one of the finest Chefs of the 20th Century, and Dilmah Tea, the Dilmah Tea School at the Institute is a groundbreaking venture. This is the world’s first consumer and hospitality tea school, which unlike existing tea training facilities, seeks to educate professionals in the hospitality and culinary industries – those in the ‘front lines’ of customer service internationally in the art of preparing and presenting tea with an understanding of the attributes of tea. The partnership is designed to inspire passion in tea through knowledge of the artisanal aspects of tea. The Institut Paul Bocuse (IPB) (www.institutpaulbocuse.com), formed in 1990, is a culinary and hospitality institution established by renowned French chef, Paul Bocuse, and Gerard Pelisson, President of the Institute and co-founder of the Accor Group. 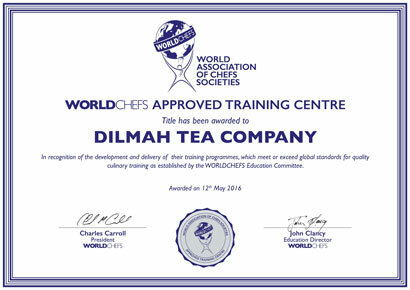 Dilmah's School of Tea is World Association of Chefs' Societies (WACS) recognized culinary education institution. WACS is a World Chef ‘s body consisting of 10 million chefs and the Dilmah School of Tea is the first and only WACS certified Tea School.